It’s been a tough day. So now I’m beating myself up about being a crap parent. Oh and I’m also eating chocolate. And drinking wine. There was a time when I may have just allowed myself to spiral into a mood of doom and gloom. But not anymore. Instead I turn to my blog. 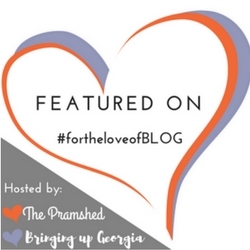 A cathartic release – and remember with thanks, that a blogger friend of mine Lucy (from Lucy’s Locket) tagged me into Pat from White Camellias‘ fab #RockingMotherhood challenge in her post here. The challenge is simple. List 10 reasons why I am rocking motherhood. It’s a very mindful activity – encouraging self-compassion – and just what I need right now, so I am more than happy to participate. 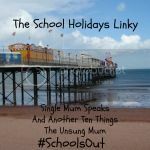 Let’s kick off with a straightforward one – I get my son to school EARLY. EVERY MORNING. Even with the toddler twins in tow. This is not something I’d be particularly proud of (it’s not a competition after all) if it wasn’t for the fact that my boy is super anxious about being late. Because I know how important it is to him to be there before the school gates open, I do everything in my power to ensure that we are out of the door in good time. Rarely is he not one of the first in the classroom, therefore starting off his school day with a smile on his face. I’m fair. My son sweetly contributed this one for me when I told him about the challenge. With three children there’s a lot of turn taking encouraged in our house. However, I try to be realistic too; allowing them all to have special toys which don’t have to be shared. This helps me stop the twins squabbling. Supposedly. We often end the day on a high (whatever has gone before) with a family ‘disco’. The glitter ball and cheesy music goes on and the lights go off. Everyone dances like ‘nobody is watching’ including the hubby and I.
I survive on little sleep and am not even that irritable as a result! I try hard to keep lines of communication open. Eye contact. Notes under doors. Sleepy chats when we’re snuggling before bedtime. Translating twin 1’s words and babble for other people – it was me that worked out she was actually saying “Christmas” when she said “hummus”! Mindfulness principles are part of the language of our home. The eldest knows that ‘Mummy meditates’. At bedtime we reflect on small acts of kindness that we observed in the day or that we may have performed ourselves, gratitude is regularly expressed and empathy is encouraged. The eldest sometimes uses ‘finger breathing’ to help him calm down. I’m a twin mum. Nuff said. I surprised myself by being able to feed two newborns at the same time whilst also reading to the eldest. I can still carry a nearly 2 year old on each hip when I need to. All three of the children are told that it’s okay to cry. In fact I hope in time they know, sometimes it’s good to cry. I never tell them to ‘shush’ or say ‘don’t cry’, instead I stay with whoever is upset (as much as possible) and allow them to let it all out with statements like ‘it’s okay to be sad’, ‘you’re angry’. And finally…They know they are loved. Our days start with kisses and cuddles. Our days end with kisses and cuddles and there are plenty in between too. I tell my three poppets that I love them multiple times a day – I just can’t help myself. I trust they know just how special they are to me. List 10 things you believe make you a good parent (this is just a guideline. It can be more or less than 10. I really don’t mind). As she says in her post here Pat would love to read your posts so tweet her @whitecamellias and she will also RT it for you. In reality though this is a great activity for any parent* to do…ESPECIALLY if you feel like you’re having a rubbish day. Enjoy! *or anyone really. Just change the list to meet your needs…e.g. I’m Rocking Teaching because…. Next Post The Challenge of being Present at this Time of Year. 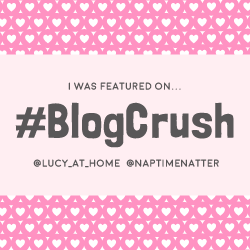 I just love this tag and have been looking forward to reading your response. Glad this made you feel better, it’s a good job you saved it for another day after all! I love the family disco! I used to do this with my sisters when I was young. I also love number four – I hope I do these things when the time comes. I try my best to be gentle and feel that I’m doing a good job so far (if I do say so myself! ), but Lilly is only 9 months, so there’s a lot of water to go under the bridge yet! Hi Hayley, this is the first time I’ve come across your blog so hello! Communication is super important to me too – I really don’t want my little boy bottling things up in the future. Thanks again for sharing and Happy New Year to you and your family! motherhood is hard as hell. So much of the time I feel like a daily failure. So many kids and so many nos. I absolutely love this Hayley, so great to remind ourselves of what we do well, you sound like such an awesome mum! I’m definitely going to look up ‘finger breathing’ as my daughter sometimes finds it difficult to calm down when she gets angry, and this sounds like a great idea. I so love the ‘telling them it’s okay to cry. ‘ I think children are exposed to so much that suggests that it’s not acceptable, we’ve been talking to our son lots recently about how it’s so important to express our emotions happy or sad, and release with crying when we need to. He was once called a ‘cry baby’ by his teacher when he got upset and sadly, this has really stuck with him. I so agree with ensuring that they feel loved with frequent kisses and cuddles and telling them is so important, we should never assume that children just ‘know.’ I still remember how much I loved and needed the cuddles from my parents as a child.